Fuel is needed both on the trail as well as at home. 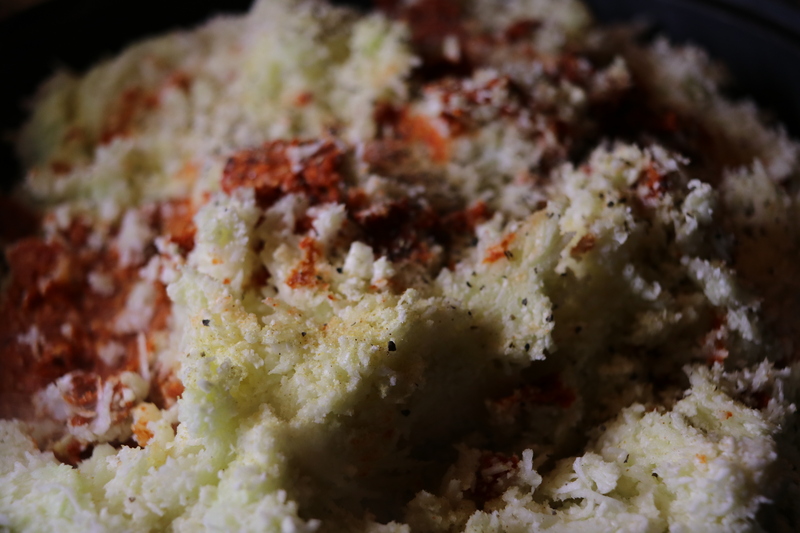 This curry cauliflower dish is easy to prepare and a great compliment to any dinner entree. Some of the most significant health culprits we should reduce are sugars and carbohydrates. Other than pointing at the apparent culprits, i.e., bread and cookies, there are also some sneaky fruits and vegetables also have a lot of sugar and carbs in them. The reason that I point out this fact is that recently I have found there is a need for me to be wary of the amount taken in each day. In the last few years I have chosen to be gluten-free, for personal health reasons, and now I am carb reduced as well. Doing both of these things have necessitated me to become creative with what I ate. Which leads us to this uniquely styled dish using a not so favorite vegetable and a simple already made paste. Thai Kitchen Red Curry Paste. 3. Pour the cauliflower into a non-stick pan. 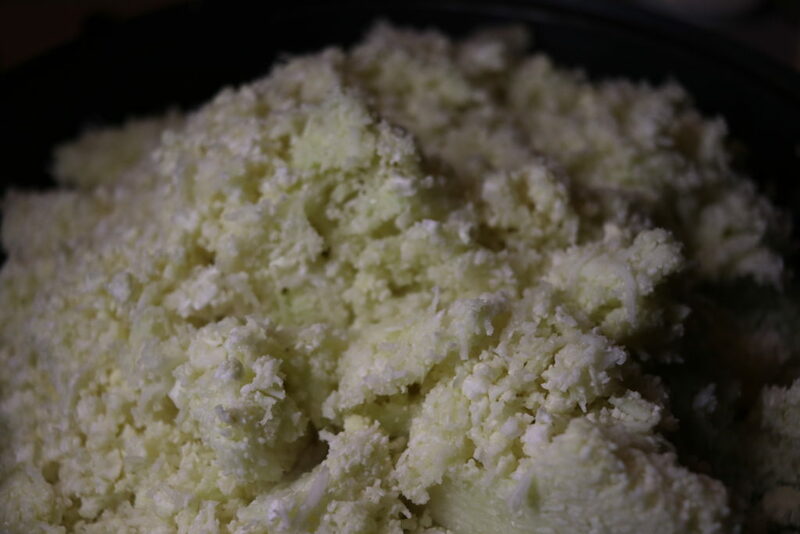 For this step, I prefer not to use any oil for this step because it turns the cauliflower into a mushy mess. 4. 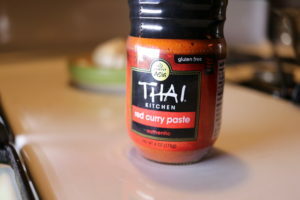 Add the curry paste to the pan. 5. 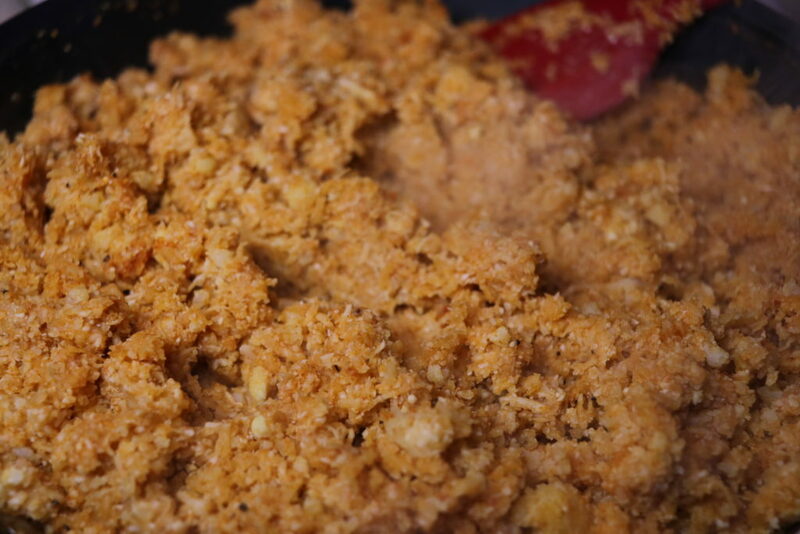 Cook on high heat while continually stirring until lightly browned. You can make seasoning additions at this stage. 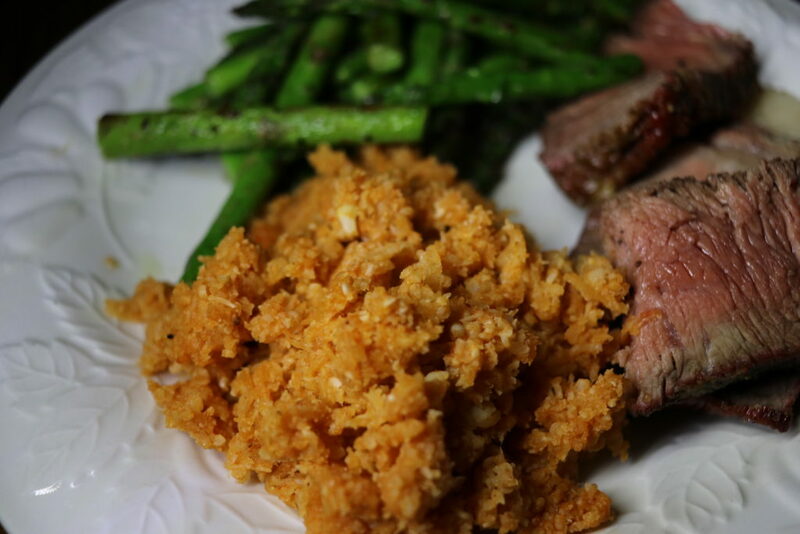 Serve with your favorite protein and a green veggie. Tonight it is served with grilled rib eye steak and sautéed asparagus….Enjoy! This entry was posted in Fuel and tagged camping, Cauliflower, Curry, gluten free, healthy, low carb. Bookmark the permalink.